Worldwide Power Cord (USA, EUR, UK, AU) Type, It's with the US plug, if you need others , please contact us We will ship you the Plug converter you need. Latest LED technology combine with excelent lightoutput and great function. 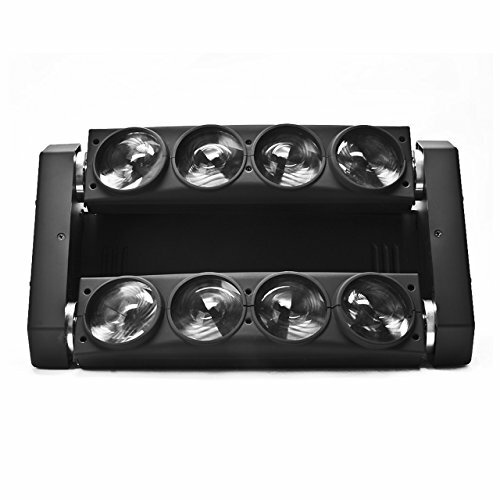 Build-in programs optional, versatile pixel beam effects, Wide-range tilt movement to deliver dynamic long-throw mult-beam effects, Each light bulb can be cpmtrolled individually. Function: Strobe, Dimmer, Color Changing, Color Mixing. Static color and RGBW color mixing with DMX controller , under the case of don't use DMX controller, its also can be operated by manual.Dimmer:0~100% linear dimmer. Control modes:DMX512, Master-salve, Auto Operation, Sound control. DMX512 Channels: 10 / 36 Channels Switch. Pan: Tilt movement: 145°.Strobe: effect with 1~25 flashes per second and pulse effect.